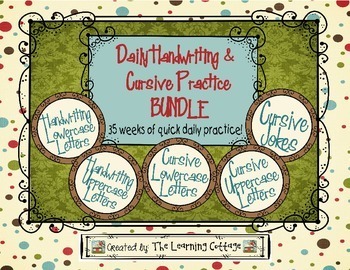 Each unit is 7 weeks long--providing you with 35 weeks of handwriting/cursive practice. 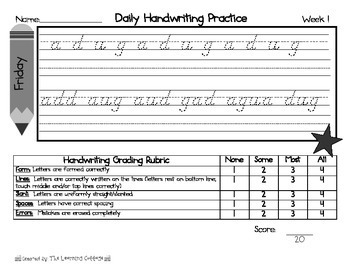 These products can be used to teach handwriting through short mini-lessons, or to review and refine handwriting skill. 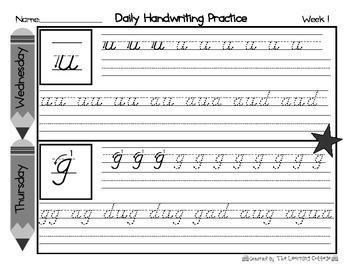 These handwriting practice pages are also perfect to use for morning work, self-starters, or literacy centers.